An independent, full-service communications agency, S&U is a group of creative specialists. We work as a team to change perceptions, to build reputations and brands - and to create demand and commercial success for every client. As an agency, our first job is to listen. We consider your objectives and we plan to help you achieve them, no matter how big or small. We believe in clear thinking and straight talking. We look to build mutually beneficial relationships with clients, getting to know your business, your plans and your objectives. By combining creative thinking with strategic planning, we communicate your message throughout the selected media. We offer a highly effective and dedicated press and public relations service. By maintaining regular contact with key personnel within your company, we write releases, stories and articles that generate maximum media coverage in a wide range of the most appropriate and relevant publications - both in print and online. We create strong and effective design that really gets your message across - whether it’s a logo, leaflet, catalogue, ad or website, graphic panel or exhibition stand. We deliver intelligent and well conceived design solutions that grab the attention and imagination of your target audience - always on time and on budget. Whether you are looking to attract new customers, enter new markets, launch new products or simply to win more sales, we create ads that engage and communicate your chosen message. To maximise your investment, we research and buy space most effectively to secure optimum positioning in the most appropriate media. Establishing and maintaining a visible and regular online presence is essential in today's digital environment. By keeping a close eye on the ever-evolving landscape, we develop digital ads, emails and websites that are imaginative, professional and user friendly. exhibition experience. For the duration of the show, you are able to present your proposition to your chosen audience. Smart and well-executed social media initiatives require strategic planning to ensure consistent, integrated brand messaging and to maximise engagement. We look beyond numbers of followers to create meaningful relationships, organically grow your influence and deliver results that set you apart from the competition. Brief: Aero Metals Alliance (AMA) briefed us to design and develop a new graphic style to be applied to a chalet and exhibition stand for Paris Airshow. AMA provides materials and supply chain management services to the world’s leading aerospace companies. 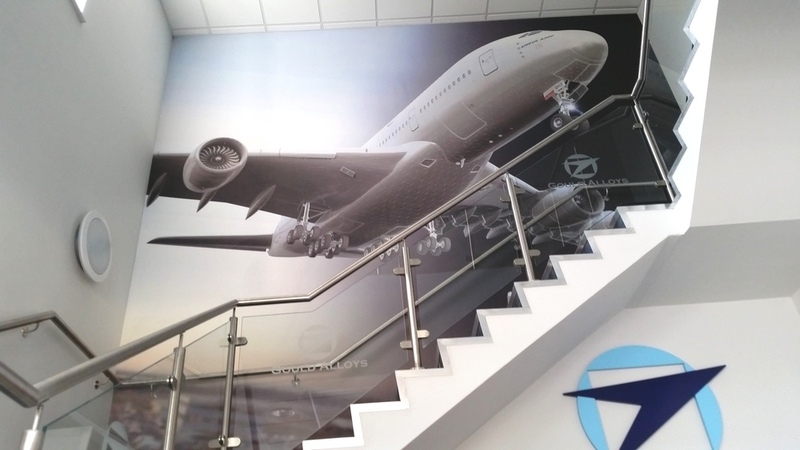 Solution: Taking cues from a graphic style we originally developed for previous events including Paris Airshow and Farnborough Airshow, we developed a new series of striking, large-format aircraft images using CGI technology. We were subsequently commissioned to re-imagine large format graphics for installation in the UK as a permanent fixture. Brief: Developing and writing thought leadership articles to position Siemens as an important voice in fire safety and security is a central brief in the ongoing PR programme for one of the world’s best known brands. Solution: Recently, this included an article on aspirating smoke detection technology and its role in protecting buildings from fire. This required us to research the subject, generate an original draft article, liaise with editors to identify specific requirements, work with the client to refine the article and source suitable supporting images. Amongst the extensive coverage achieved was a four page article in a magazine with a worldwide circulation of 40,000.